Hi Squashblogger! 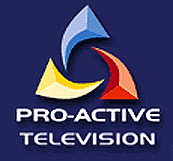 Many thanks for your kind words regarding the PSA productions by Pro-Active. It's been my first year on the PSA tour and it's been pretty good fun if quite exhausting these last three months with so many back to back platinum events. The features which I've posted on YouTube are some of the better interviews or features which are in the highlights programmes. Some events are better disposed to make these than others as many of the players often dissapear by the time we arrive at the quarters stage of the competition. Posting on YouTube has also allowed me to gauge public reaction to determine if my efforts are worthwhile. Happily reaction has been positive and the players also get the chance to see what I'm trying to achieve with them. Budgets/time/politics permitting I'll hopefully be able to try out a few more new things in 2008. By the way, I did an Olypmpic promo for the IRB sevens rugby. Whilst is was praised by various olympic members and would of shared the soccer facilites thus keeping costs low, it all boiled down to the fact that the IOC are trying to CUT events! If squash is lucky, it might get in - on a one in, one out basis. It will need more than a glossy promo though. A groundswell resurgance of the sport amongst the youth would no doubt help as 'trend' sports such as snowboarding and (the now quite old) bmx racing have recently gotten in. Anyway that's another story. Merry Xmas/Happy Holidays and all the best for the New Year! It seems like you have a great job! I thought the PSA productions a great step in the right direction, and I agree that the success of the Olympic bid requires an integrated campaign that makes use of polished material such as yours. Have you tried any other outlets for promoting the films? All the best - look forward to seeing some more in 2008!